Right: front and back from a box of Willis W. Russell's “Regulars” showing a card back on the reverse with a portrait and signature of Mr. Willis W. Russell and the remains of the U.S. tax stamp. Click image to zoom. 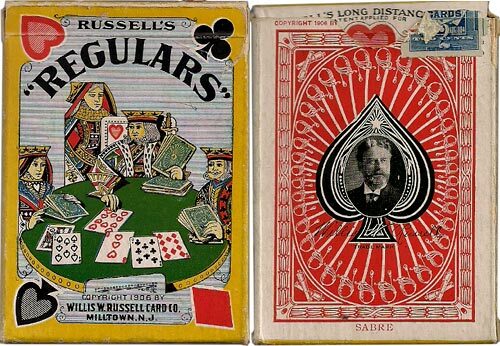 Willis W. Russell’s “Regulars” were first issued in c.1906, a brand aimed at the armed forces, in tribute to men of the “regular army”. It was patented with ‘Long Distance Pips’ with shading in the hearts and spades. These are sometimes known as ‘No Revoke’ decks. The pictured box is one of the most attractive ever produced. 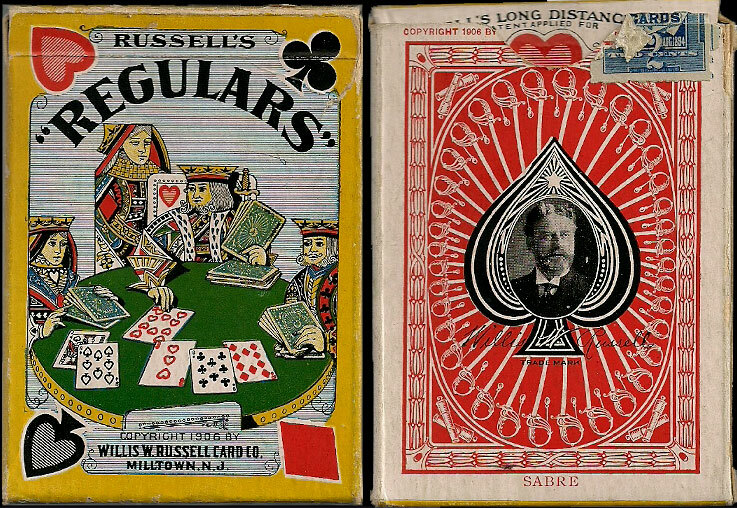 Mr Russell's pride in his merchandise is evident by his portrait and signature which appears on the box and Ace of Spades. 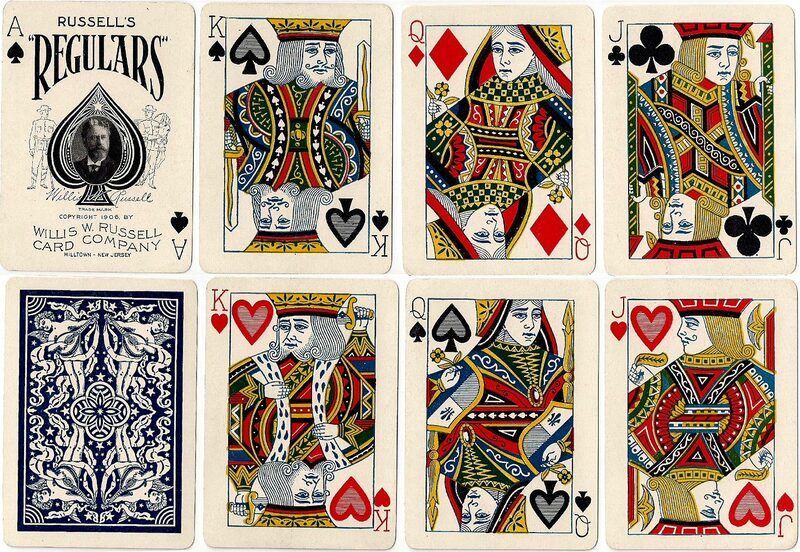 Above: Russell's "Regulars" aimed at the armed forces in tribute to men of the “regular army”, c.1906. The Ace of Spades shows men in uniform, and the Joker (not shown) depicts a U.S. Cavalry officer riding a horse. The back design in this set does not match the named back shown on the reverse of the box. All images courtesy Rod Starling.